10,000 miles/yr. Cash due at signing includes $4,399 capitalized cost reduction, $795 acquisition fee and first month’s lease payment of $599. No security deposit required. Excludes title, taxes, license, registration, and dealer fees. See dealer for details. Available only to qualified customers through Mercedes-Benz Financial Services through October 31, 2018. Not everyone will qualify. Advertised 36 months lease payment based on MSRP of $59,595 less the suggested dealer contribution resulting in a total gross capitalized cost of $57,196. Includes Destination Charge and Premium 1 Package. Excludes title, taxes, registration, license fees, insurance, dealer prep and additional options. Total monthly payments equal $21,564. Cash due at signing includes $4,399 capitalized cost reduction, $795 acquisition fee and first month’s lease payment of $599. No security deposit required. Total payments equal $26,758. At lease end, lessee pays for any amounts due under the lease, any official fees and taxes related to the scheduled termination, excess wear and use plus $0.25/mile over 30,000 miles, and $595 vehicle turn-in fee. Purchase option at lease end for $31,585 plus taxes (and any other fees and charges due under the applicable lease agreement) in example shown. Subject to credit approval. Specific vehicles are subject to availability and may have to be ordered. The 2018 Mercedes-Benz GLE 350 4MATIC® is unique in the luxury crossover SUV class. 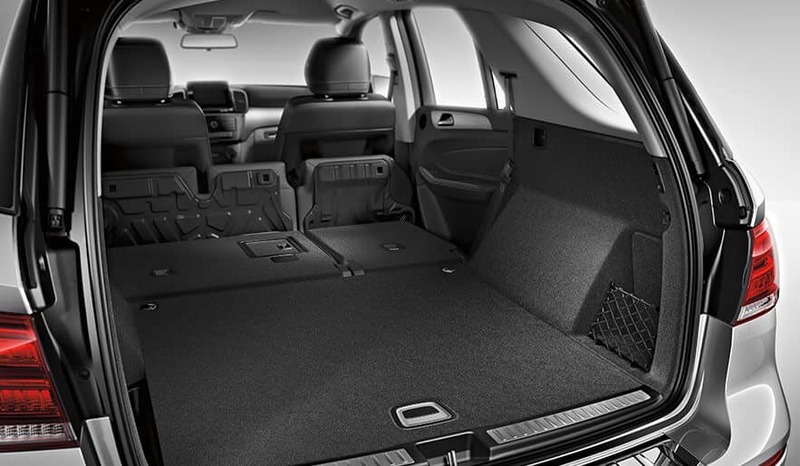 With seating for 5 passengers in a cabin that’s larger than that of a compact crossover SUV, it offers genuine comfort and the amount of legroom adults and growing teens crave. With a truly high-class interior, the GLE features hand-fitted upholstery and a cabin trim wrapped in hand-finished dark brown Eucalyptus wood. With heated front seats, 14-way power driver’s seat, dual-zone automatic climate control, and a plush quiet interior, driving will always be a pleasure, whether it’s your weekday commute or a weekend excursion. 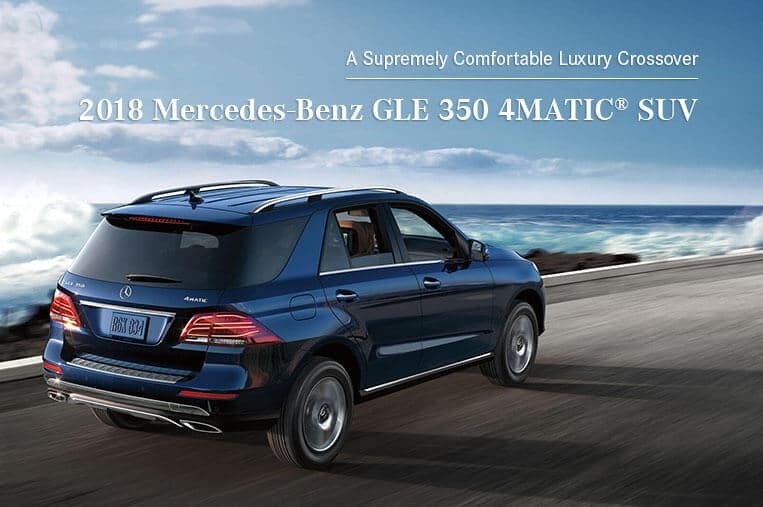 The GLE 350 4MATIC® comes standard with Mercedes-Benz advanced 4MATIC® all-wheel drive system that remains engaged all the time and continuously monitors all 4 wheels to optimize the amount of torque sent to each wheel. Working in conjunction with Mercedes-Benz ESP® (Electronic Stability Control), the 4MATIC® system provides maximum effectiveness when turning corners and in slippery road conditions, offering you superior vehicle control during any season of the year. Mercedes-Benz continues to set the global standard in vehicle safety. 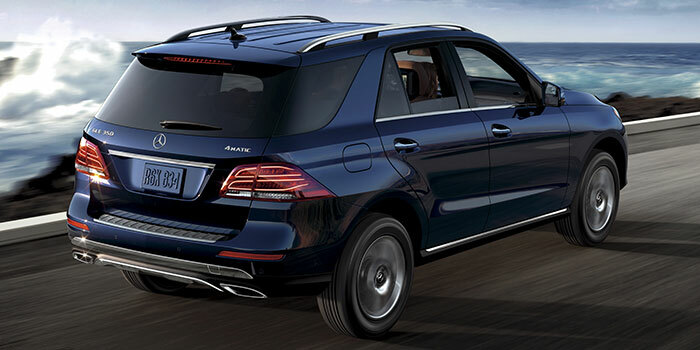 Standard safety features in the GLE 350 4MATIC® include ATTENTION ASSIST® (a drowsy driver alert) and Crosswind Assist (an alert that helps detect the effects of strong side winds on handling stability at highway speeds). 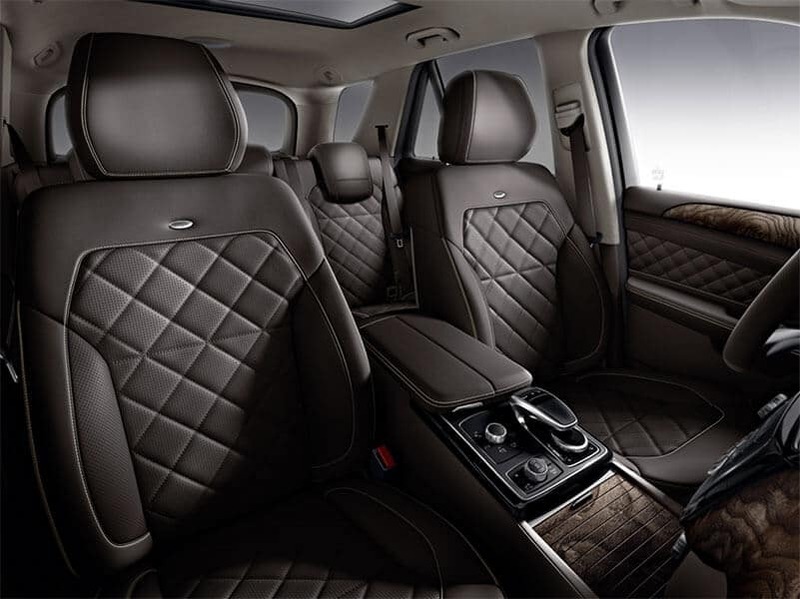 The advanced system of 9 airbags provides occupant protection for both seating rows, all standard. Mercedes-Benz has always been at the forefront of vehicle safety systems, and the 2018 GLE 350 4MATIC® continues that trend with the latest safety features designed to help you get yourself and the ones you love most safely there and back. *Disclaimer: Bluetooth® is a registered mark Bluetooth® SIG, Inc.
At Mercedes-Benz of Edison., we want your Mercedes shopping experience to be as smooth and enjoyable as possible, and that’s why we’ve created a pressure-free environment. No more being overwhelmed by multiple sales and finance staff members — during your visit, you’ll be introduced to a trained Mercedes specialist who will personally be able to answer your questions, offer advice, and walk you through the process. Just fill up the form below, call us today to schedule a test drive for the new 2018 Mercedes-Benz GLE 350 4MATIC®, or just stop by for a visit anytime.